HMRC have provided details of the new timetable for Making VAT Digital (MVD), we have new Employer Bulletin and another Agent Update, plus much more. 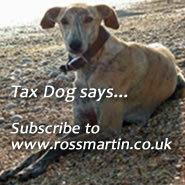 You only need to worry about MVD if you are VAT registered. We have updated our MVD: who has to join tool so have a play with that. Plans for making the self assessment return more difficult have already been deferred until at least 2020. At the moment it seems that the potential demands of whatever will be Brexit are likely to take up a considerable amount of HMRC's resources. While thinking of computer aided resources, we have another case where HMRC's computer has set a penalty, however the legislation does not permit it as it says you need a named human to do that job. A future generation might look back and think that this is part of a dark conspiracy to ensure that HMRC officers keep their jobs! However, it looks like we need to review our legislation and start to futureproof it. Generally, there is a very good reason, normally added as a safeguard, why tax should be determined by a named officer and not a 'bot'. In this case the late return was an Employment Intermediaries return and so a quarterly one. The more frequent the filing demands, the more penalties, which mean that they are time consuming to assess and not so cost effective: the ideal job for a bot. What we need, therefore, is a penalty appeal bot that just plugs into HMRC's systems and tests it. That's not going to happen for a while, although HMRC could release the APIs... in the meantime we have a lot of very good First Tier Tribunal judges who do this for us. Following its Business Lifecycle report in April 2018, the Office of Tax Simplification (OTS) has published a call for evidence and online survey to seek views about tax as it impacts on businesses. HMRC have published their Employer Bulletin for October 2018. We summarise the key content for you, with links to our detailed guidance on the topics covered. HMRC have issued the Agent Update for October/November 2018. We have summarised the key content for you with links to our detailed guidance on the topics covered. HMRC has had its board meeting and is continuing with its intention to introduce MVD from April 2019. Complex businesses, including those who are Annual Accounting for VAT are allowed a six month deferral. Our lovely tool allows you see when and if you need to worry about Making VAT Digital, if you can claim exemption or deferral. If you have the time and resources you can try MVD early. Different groups can access the trial at different dates. NEW: A topical update of issues affecting directors, tax planning tips and potential problem areas, including recent cases. UPDATE: childcare vouchers scheme closed to new entrants on 4 October. NEW: a new guide which summarises some of the key steps in appealing a decision of HMRC. UPDATE: We have added more details about how to make adjustments where benefits change during the year. In Robert, Adam and Dorothy Thornton Trading as A* Education v HMRC  TC6742 an appeal against late filng penalties for three employment intermediaries returns was allowed: HMRC’s computer set the penalties instead of a named officer. In Robert David Sidebottom and Jane Elizabeth Pickett v HMRC  TC06724 the First Tier Tribunal (FTT) found that enhancement expenditure by a company on property owned by it’s shareholders was not deductible for capital gains tax purposes; an irrecoverable directors loan to the company was not a reimbursement of the expenditure. In Dixons Carphone PLC v HMRC  TC06731, the First-Tier Tribunal (FTT) found that a subsidy deducted by a provider of interest free credit to Dixon’s customers did not override the original gross sale price for VAT. In Virgin Media Limited v HMRC  TC06730, the First-Tier Tribunal (FTT) ruled that the old prompt payment discount rules could not apply to those not using an annual upfront contract saver plan. In L I F E Services Limited v HMRC  UKUT 484, the Upper Tribunal (UT) overturned the First-Tier Tribunal, finding that the welfare services provided by a private for-profit business which was not state-regulated could not be exempt. In Richard Baldwin Motorhomes v HMRC  TC06725, the First-Tier Tribunal (FTT) concluded that cycle racks installed to the back of motor homes were qualifying adaptations for disabled persons when used to carry wheelchairs. NEW: this guide looks at supplies of medicines, supplies of goods and building works to disabled persons and charities, medical care, and welfare services. UPDATE: is software goods or services for VAT?